Last December, the official WikiLeaks Twitter account asked this question: is it possible for Julian Assange to run for the Australian Senate while under house arrest in another country? Apparently the answer is yes, because the latest update to the Twitter account announces his intention to run. We have discovered that it is possible for Julian Assange to run for the Australian Senate while detained. Julian has decided to run. WikiLeaks has yet to announce which state Assange will be running for. In terms of the legality of it all, WikiLeaks points to an article which is an apparent explanation as to why the WikiLeaks founder is able to run, despite currently being under house arrest in the UK. In it, Assange’s case is compared to that of former South African president Nelson Mandela and current Turkish Prime Minister Recep Tayyip Erdogan, both imprisoned in their respective countries. Politicians whose ‘crimes’ are related to arrest for protest of putatively unjust laws clearly will have a better time with electors than politicians who cheat for example on their travel expenses. “Underdogs” such as Julian Assange facing the might of a Swedish legal system’s powers under the European Arrest Warrant system and the wrath of the US Empire, appears to have found great support in Australia which is support I assert which will easily be transposed to political support of a candidacy. Of course, with the announcement made on Twitter, it’s no surprise to find that Assange’s campaign already has its very own hashtag #Assange4Senate, which for the most part, is filled with messages of encouragement and support. 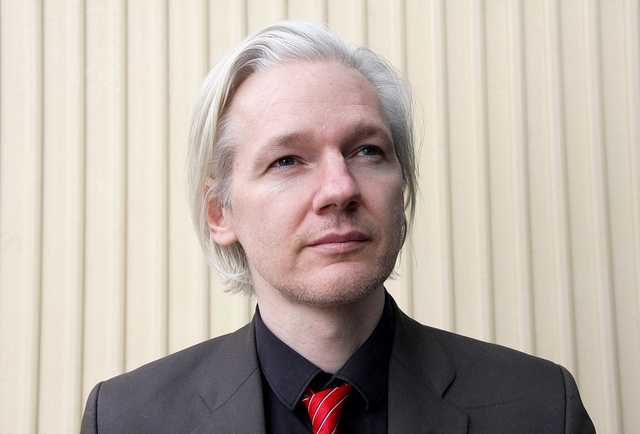 In addition to Assange running for Australian senate, WikiLeaks also announced the intention to run a candidate against Prime Minister Julia Gillard in the next elections, in 2013. As The Independent points out, WikiLeaks past with Gillard has been rocky at best. She ordered an investigation into WikiLeaks’ release of confidential cables, but it was found that in doing so, the organization had not broken any Australian laws. Assange is currently under house arrest, awaiting possible extradition to Sweden, where he could face charges over allegations of sexual assault. The extradition is currently under appeal. His house arrest has done little to slow Assange down. News has it that the WikiLeaks founder will be hosting his own TV show, and in the meantime he has been busy, showing up at the Occupy London protests and recording cameo appearances on The Simpsons, and of course, keeping busy with WikiLeaks-related activities.